If drinking great coffee is what you are all about and you don’t want to stand in lines for it, then the Moustache Coffee Club is for you. Finally, you can explore the world of artisan coffees from your home or office. And, they will roast and ship your coffee on the same day. 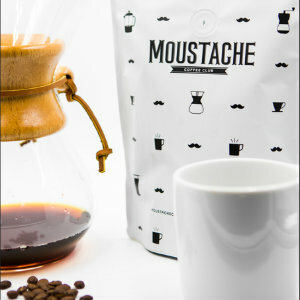 Moustache Coffee Club is a premium online coffee subscription service that brings its subscribers the finest and freshest single-origin coffee roasted by award-winning roasters such as Portola Coffee Lab. Each week they select a different single-origin coffee---usually a small farm or cooperative---it's then roasted and shipped the same day. If you're a coffee connoisseur, you'll appreciate the tasting notes so that you can get the most out of your cup of coffee. Weekly, bi-weekly, and monthly plans are offered to fit your coffee needs. For more information, visit moustachecoffeeclub. Lush Cosmetics just partnered with Discovery Channel’s SHARK WEEK to help shed light on the important role that sharks play in maintaining a healthy ocean and planet. 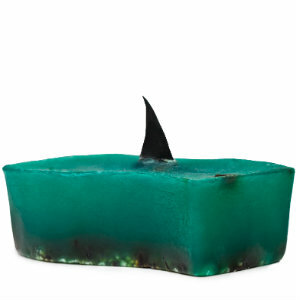 Shark Fin Soap ($5.95) is available in-store at Fashion Island, Anaheim Garden Walk, The Shops at Mission Viejo and Brea Mall as well as online at lushusa.com through July 19. With every purchase of Shark Fin Soap, Lush will donate 100 percent of the sale price to organizations around the world working on shark conservation, ocean health and the protection of species. You can get your red, white and blue on with help from RVCA’s new 4th of July Collection. The westside Costa Mesa based RVCA presents its new arrivals in celebration of the Fourth of July. Shop from the Tribar Tee, Pride tee, Sweetwater boardshorts, Change Up tank, Bert Canons Tee, Honcho boardshorts, and Dream Flag tees available online now and in local stores. Here’s a twist on the juice cleanse craze that we can’t get away from. Soupure, founded by Angela Blatteis and Vivienne Vella is a "grab and go" liquid option designed to be hearty while offering energy and optimal nutritional value. Soupure is a home made, home delivery "souping" service that offers packs of broths, protein packs, 1 to 5 day custom cleanses, oncology support packages and a variety of cold and hot soup varieties and infused alkaline water supplements. Choose from flavors such as Pumpkin Miso, Japanese Sweet Potato, Lemongrass Consomme, Pineapple Cucumber Water, and Strawberry Cashew. Blatteis and Vella both have family members who suffered from cancer, so they understood the challenges in finding good tasking nutritious soups that were non-GMO, natural, and not filled with sodium, cream and preservatives. If you’re left feeling hungry and confused by a juice cleanse, Soupure could be a great alternative as you can choose from rich cold and hot soups, tonics and waters for a snack, a meal, a starter course or a refreshing beverage, or a cleanse. They are made from all organic foods, filled with fiber, whole foods and protein rich ingredients. Soupure is now serving up and delivering single-service bottles, as well as cleanses, weekly throughout and within a 350 mile radius of Los Angeles County (national starting Sumer 2015) and is retailing at Soupure’s new kiosk location in Brentwood Town Center, as well as at Cardio Barre Studio City. 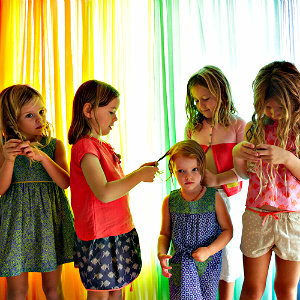 Orange County based Neige, an upscale children’s line by Adrienne Catrina, just partnered with Margherita Missoni, the granddaughter of Missoni's founding father, to help her create a dream brand, Margherita Kids. Together, they collaborated in choosing colors, designs, and production. Because of Adrienne’s influence, new customers for Margherita Kids can expect the same amazing quality, fit and design that they are used to with Neige. As featured in Vogue, Margherita Kids launched exclusively in the United States at select Nordsrom such as South Coast Plaza for its spring/summer 2015 collection. The 70-piece collection for boys and girls up to age seven features Batik-inspired prints, seersucker, color block stripes, dots and mix and match prints. Choose from sleeveless cotton dresses, shift dresses, tiered cotton skirts, linen and cotton shorts, t-shirts, cotton bubble bloomers, colorblock cardigans and more. Nordstrom is at South Coast Plaza, 3333 Bristol St. in Costa Mesa. On the hunt for something different? Stop by the new Coast Modern in Seal Beach that offers curated local and international goods, as well as men’s and women’s clothing and homewares. Bryce and Cecilia Cole, a creative design couple, shine a light on indie fashion brands and local artisans. They feature a local sailmaker who handcrafts bags, to a bookbinder who makes quality leather goods. The husband and wife team have designed for various fashion brands in the contemporary and action sports arenas. Seven years ago they launched Common Thread, a multi-source apparel design and manufacturing agency where they continue to work with many brands. ”We believe in good design for better living and we’re inspired by architecture, textiles, graphic art and simple pure design,” Bryce said. Coast Modern offers an eclectic mix of quality items such as clothing, jewelry, eyewear, shoes, books, cards and linens. This season’s women’s designers include: Knot Sisters, Maison Du Soir, Closed Denim, Bridge & Burn, K-Way, Raven+Lily and Bijoux B Jewelry. Men’s designers include: Almond, Aloha Sunday, Railcar Fine Goods, Rhythm and their own house brand Unidas. 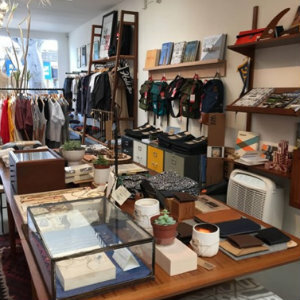 Homewares include: Woolrich, Half Light Bindery, Topo Designs, Eames Office, Swell, M&U Co., Hedley & Bennett, and Books by Hennessey & Ingalls as well as Tashen, and more. Open 11 a.m. to 6 p.m., Tuesday through Saturday, and 10 a.m. to 4 p.m. Sunday.